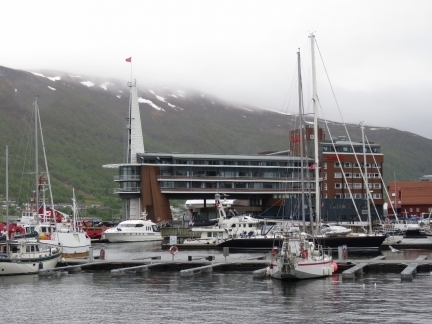 Tromsø has for centuries been a common departure point for those heading to north to Svalbard, and also is a suprisingly feasible place to over-winter a boat. Despite its location well above the Arctic Circle, the harbour is ice-free in the winter due to the warming Gulf Stream waters. 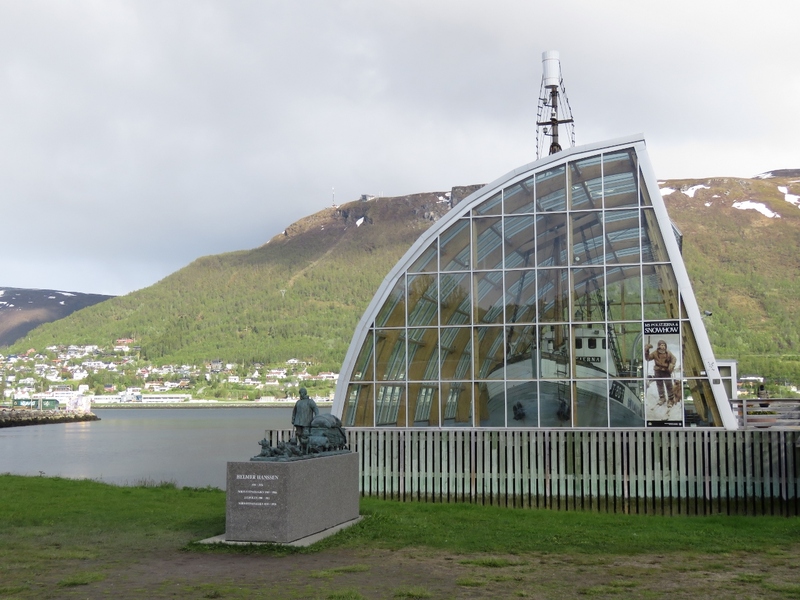 Passing through Tromsøyundet en route to Bunker Oil. 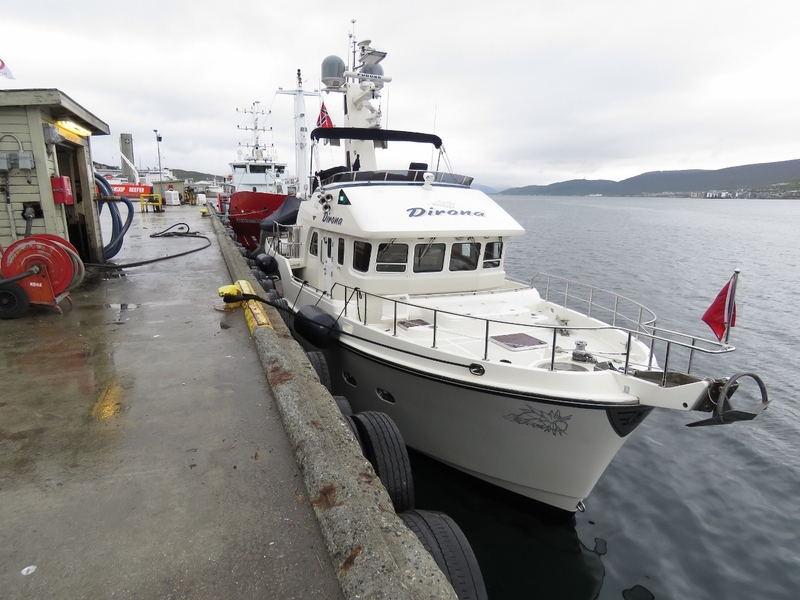 On the dock at Bunker Oil to take on 1,260 gallons (4,770 liters) of diesel. We’ve used a fair bit since fueling in Helgoland in late April. 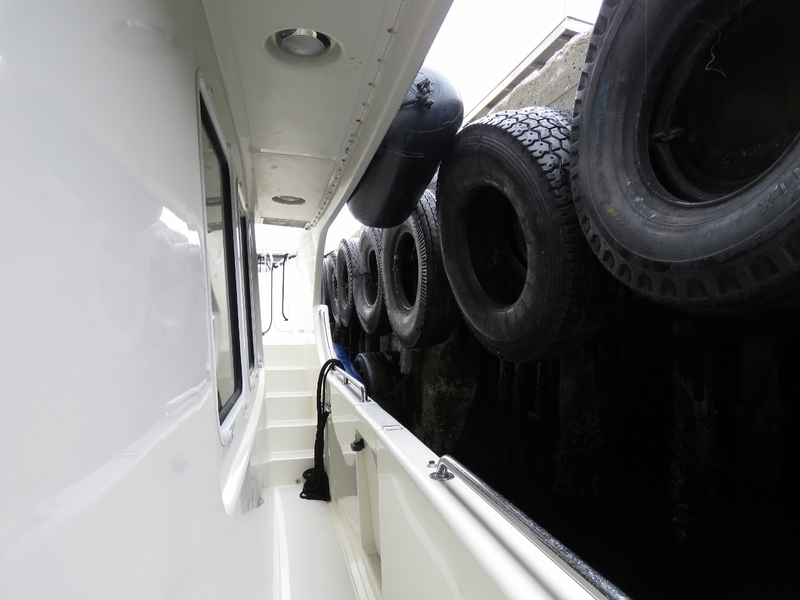 The dock is designed for much bigger boats that Dirona, so we need to be a little creative with fender placement to keep ourselves off those big tires. Kystbunker II blowing a big puff of black smoke as it comes on the dock just barely behind us. Although the master did an excellent job of placing the boat, we couldn’t help but feel a little exposed as they came in. Normally the water around a commercial fuel dock is fairly polluted, but the water around Bunker Oil is among the cleanest and healthiest we’ve seen with lots of sea life. 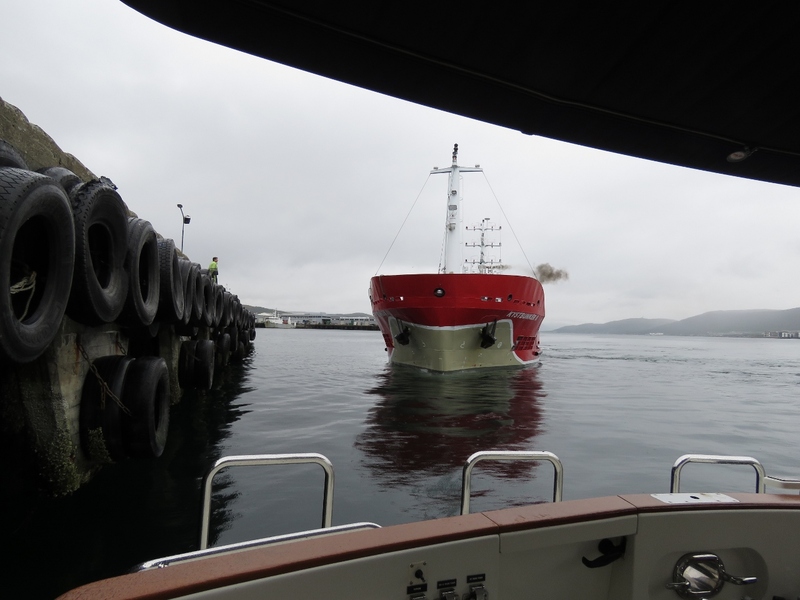 On the dock at Bunker Oil with Kystbunker II behind us. 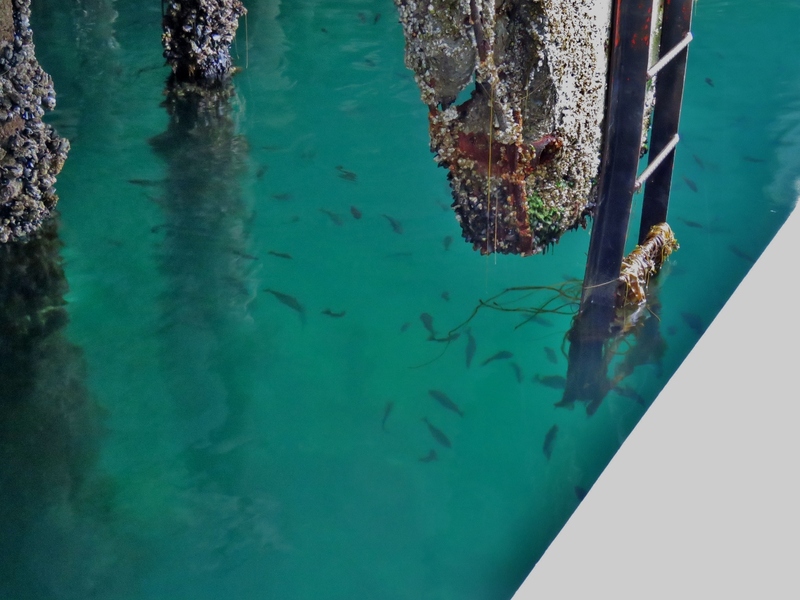 We didn’t even travel for an hour today, but when James went down to the engine room after shutting off, he found a light mist of antifreeze in the air and droplets over the engine room starboard wall and the stairs up to the master stateroom. The weird thing is the engine was clean and dry, without any anti-freeze on it anywhere. 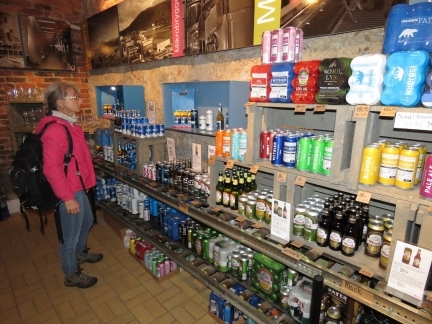 But, clearly it’s not spaying out of the walls. 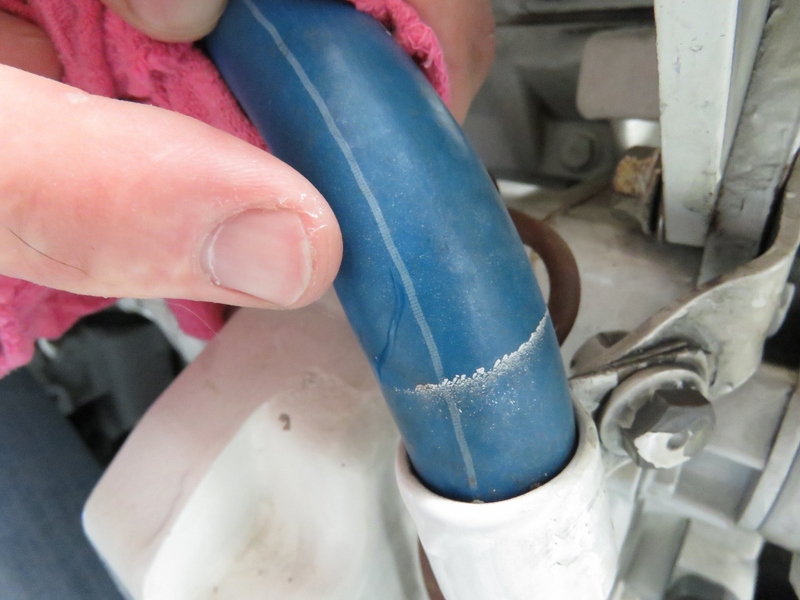 We found a tiny pin hole in the return coolant hose from the aftercooler. The hose only leaks under pressure so rather than running down the hose it sprays outward. 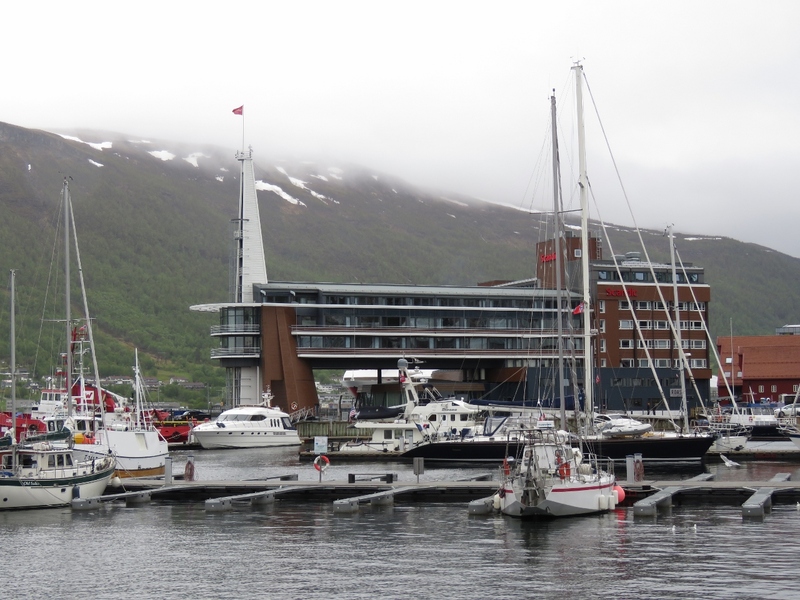 Docked at latitude 69°39′ N in the Tromsø Guest Harbour for a week or two. 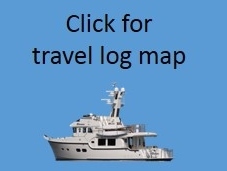 This is the farthest north we’ll be going in Dirona on this trip. It’s wild to actually be here in Tromsø—we’ve been planning this trip for ages. The Arctic Cathedral across Tromsøyundet viewed from downtown Tromsø. 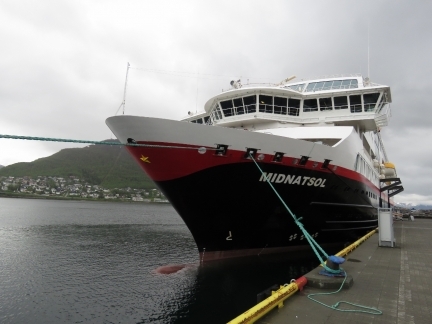 We’d planned to tour the old sealing vessel MS Polstjerna, but it’s not open until June 15th, so we’ll visit next week. We’re enjoying being a little early in the season, with fewer crowds. 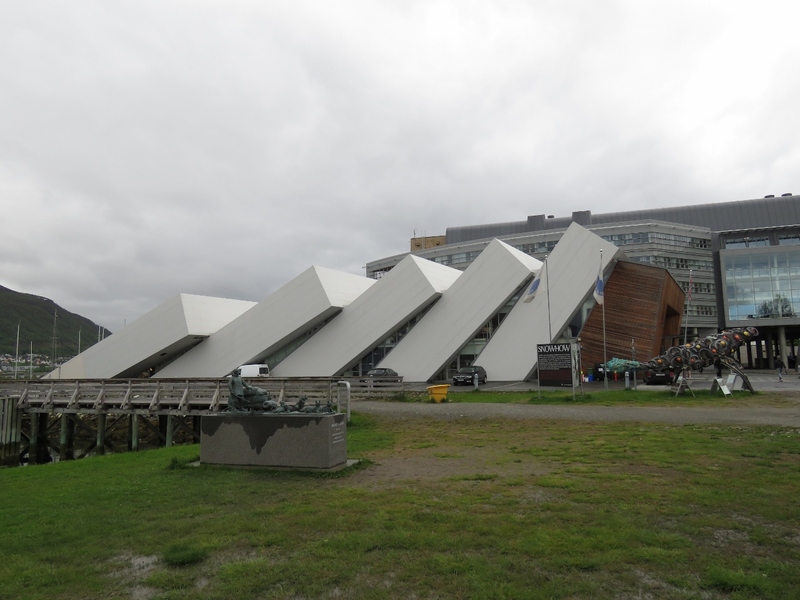 The architecturally-striking museum Polaria adjacent to MS Polstjerna. 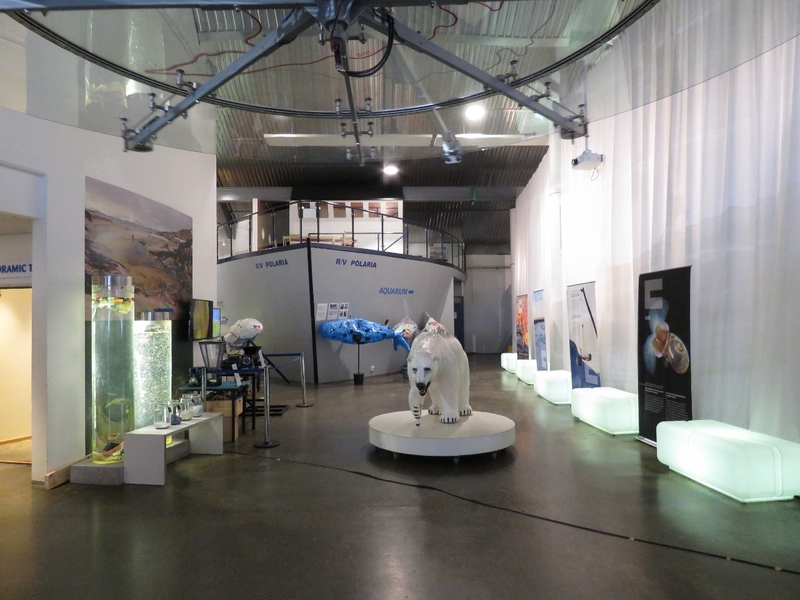 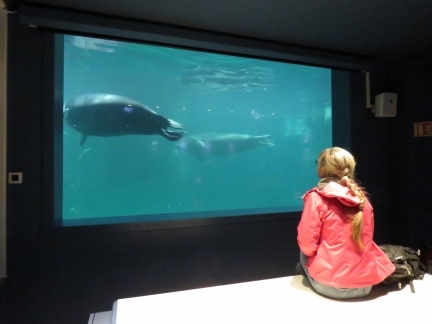 The Polaria museum focuses on Northern Norway and Svalbard, with two good movies and excellent multimedia displays. We really enjoyed it. 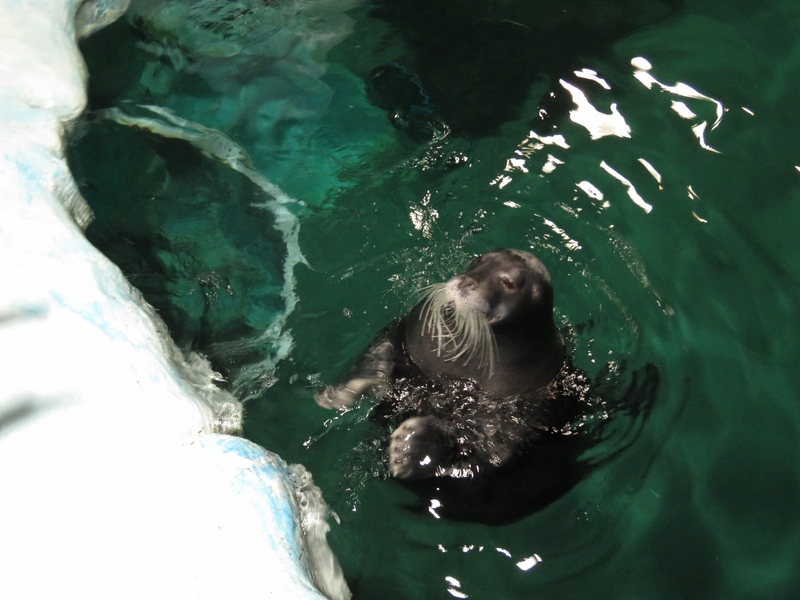 Polaria has several cold-water aquariums and a big seal pool with two bearded seals and three harbour seals. This is one of the bearded seals during their feeding/training period. Jennifer enjoying the seals swimming past an underwater window. 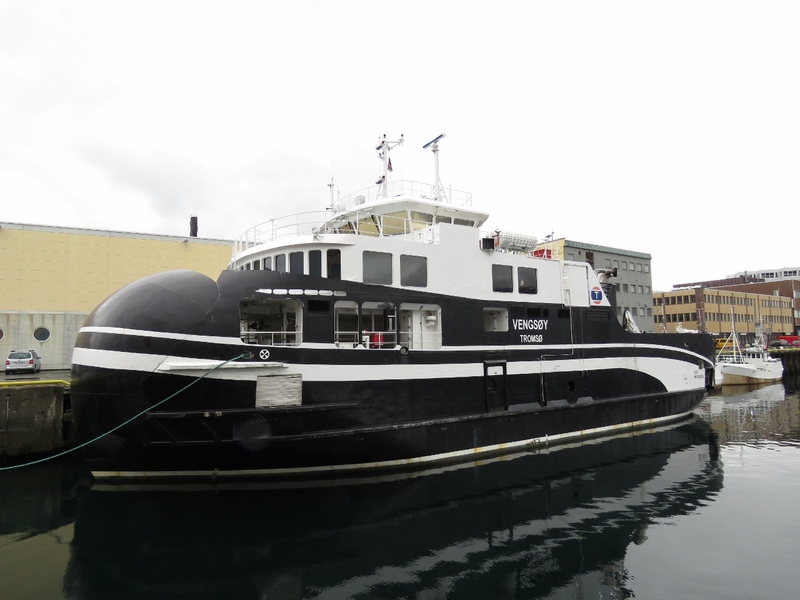 The unusually-bulbous prow of the RO/RO ferry Vengsøy. Ølhallen, opened by Mack brewery in 1928, is the oldest pub in Tromsø. 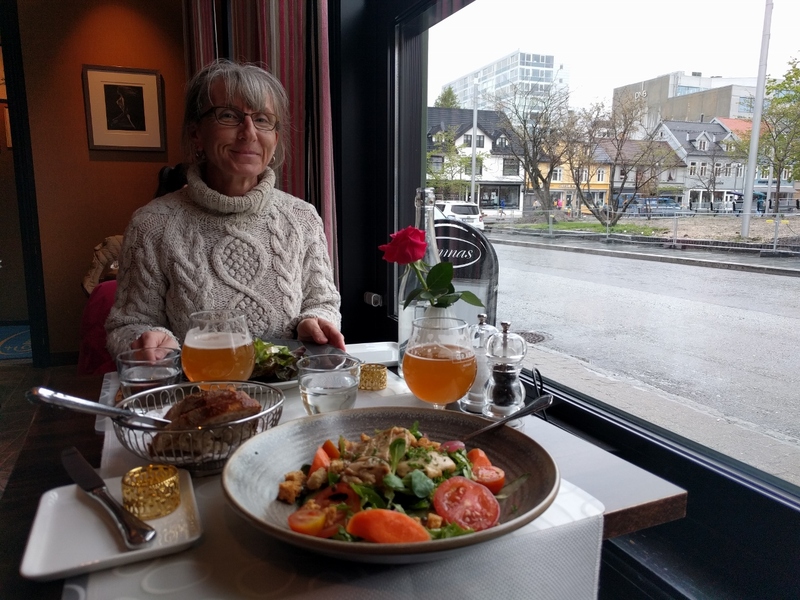 We were going to stop in for lunch, but they don’t serve food, so we’re off to sample another of Tromsø’s many restaurants. We’ll be back. An exceptional lunch at Emma’s Under in Tromsø. 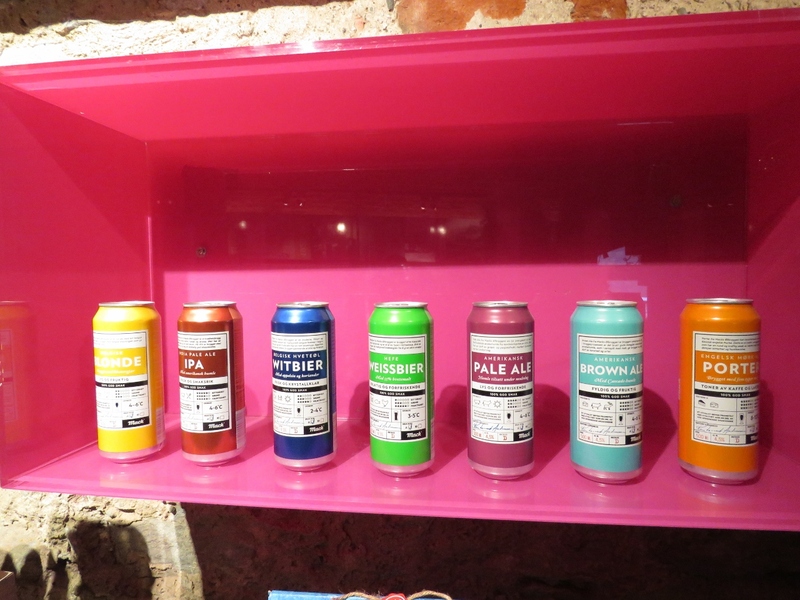 Emma’s exceeded their excellent reputation. 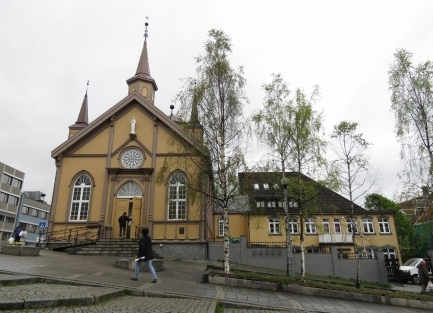 Lutheran Tromsø Domkirke, built in 1861, is one of the largest wooden churches in Norway. 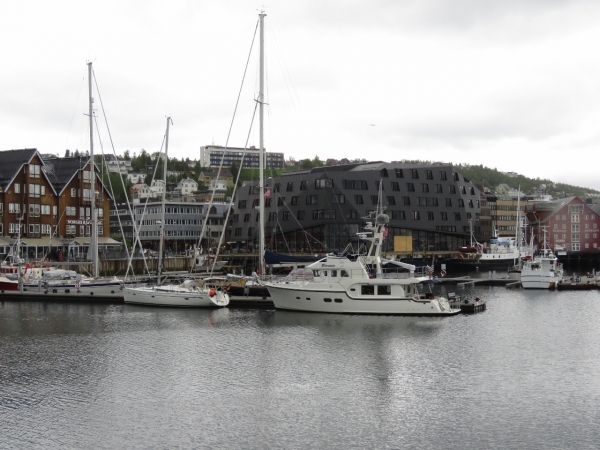 The dramatic Ishavshotel overlooking the harbour and marina. Tromsø has an extensive tunnel system beneath the city. 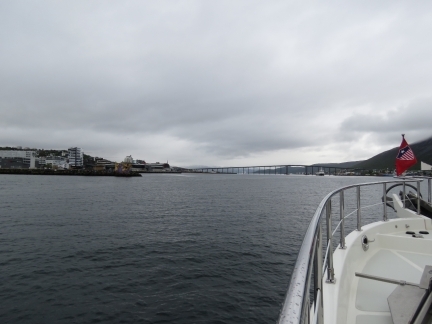 This is looking into the entrance north of the harbour. 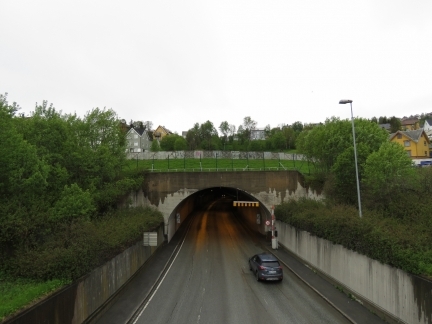 From here you can drive underground all the way south to the Polaria museum, north to the Botanic Gardens or northwest across the island. 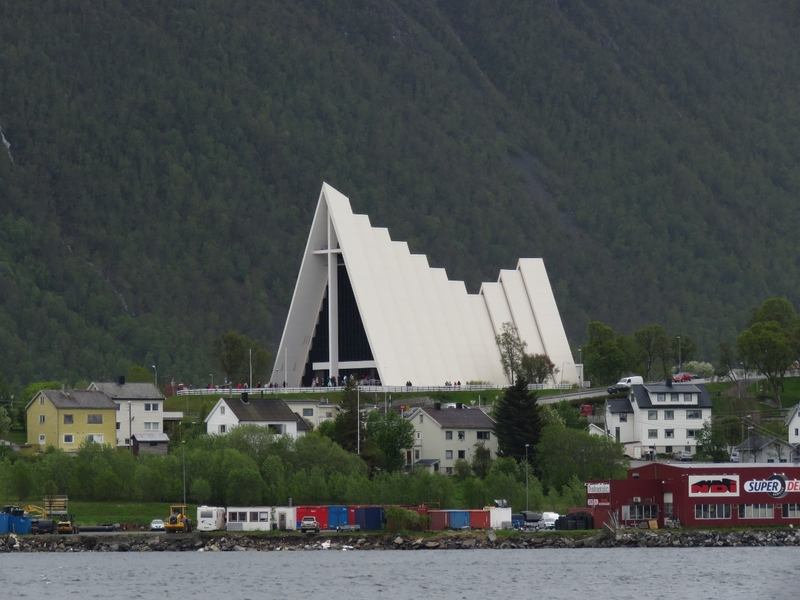 Norway never backs away from an engineering challenge or a little cost. 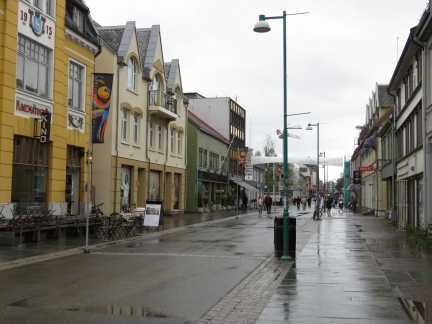 Storgata is filled with shops and restaurants, and people. 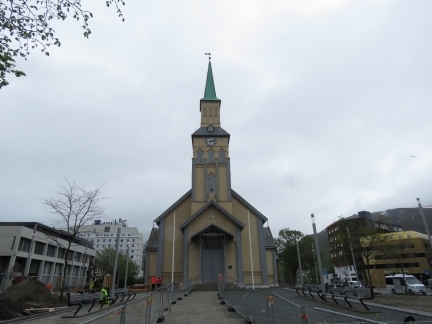 Also built in 1861, this claims to be the most northern Catholic Church in the world. 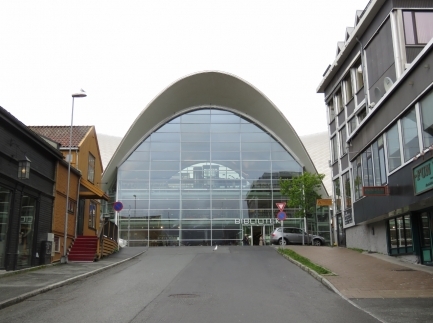 Tromsø’s striking new public library. Ludwig Markus Mack founded Mack Brewery in Tromsø in 1877. It’s the fourth largest brewery in Norway and one of it’s strongest brands. 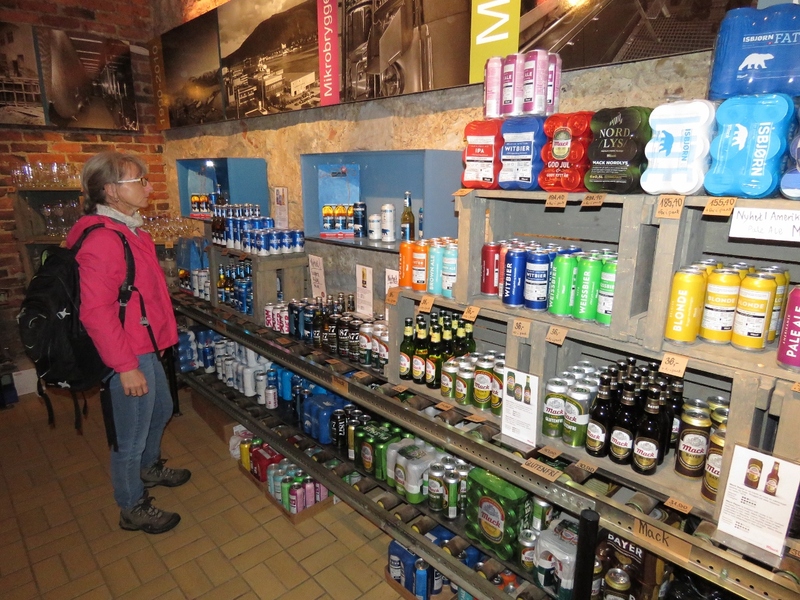 Here we are in their brewery store prior to a tour. In 2000, Macks opened a microbrewery. These are their beers. 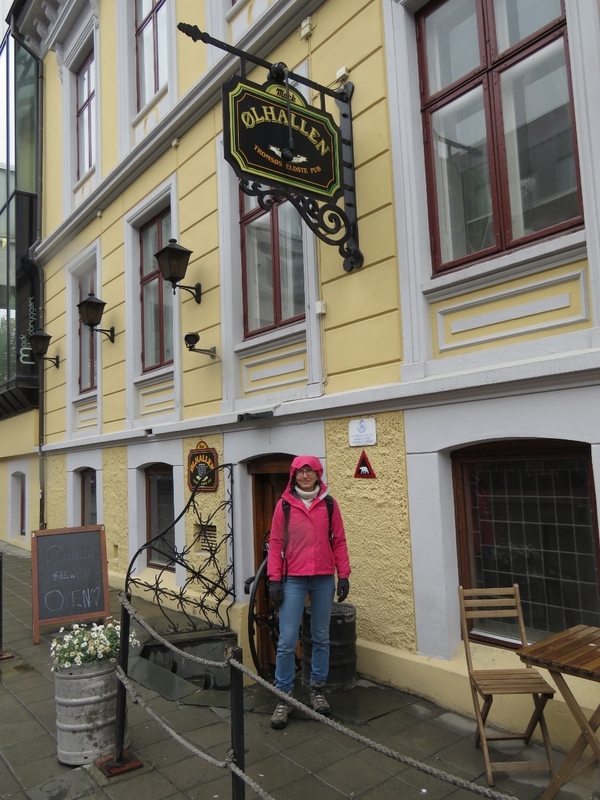 The main Macks brewery recently moved about 70km from Tromsø, but retains a pub, administration and microbrewery on their historical site. 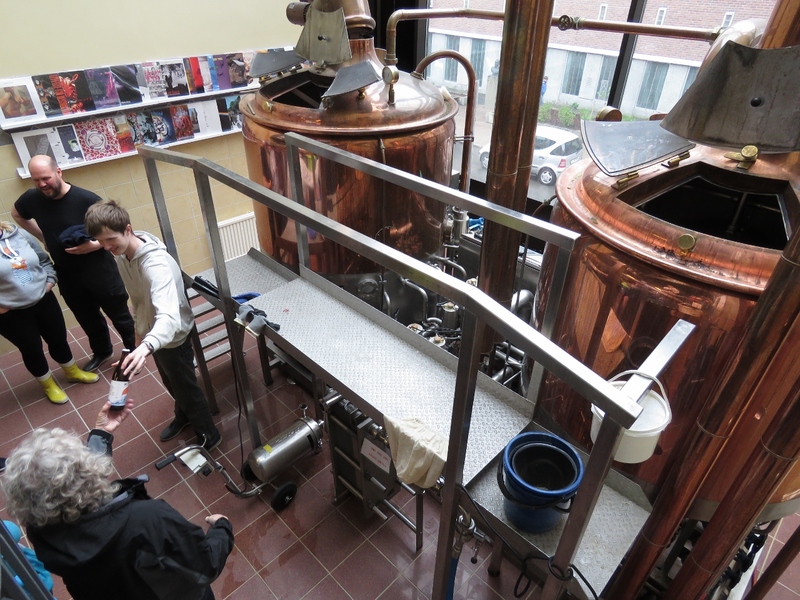 The microbrewery tour included a movie detailing the history of the company, a description of the brewing process and a walk through the facility. 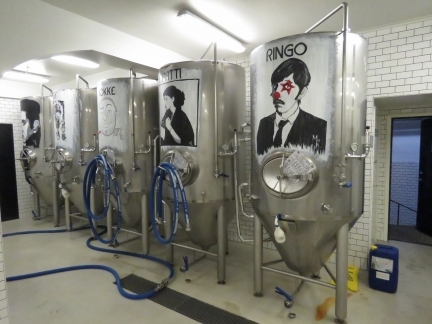 The vats in the Macks Microbrewery are painted with the images of famous musicians. Iggy Pop, second from the left, had heard his likeness was on one of the vats and came in for a tour while in town for a music festival. 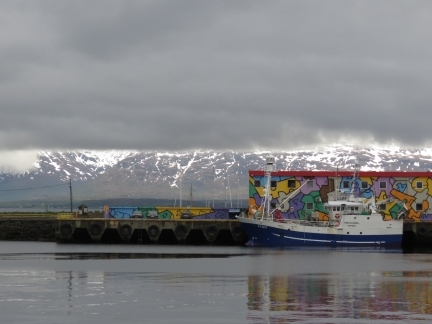 The mountains peeking out from behind the clouds. The Hurtigruten Midnatsol on the dock near the guest harbour. 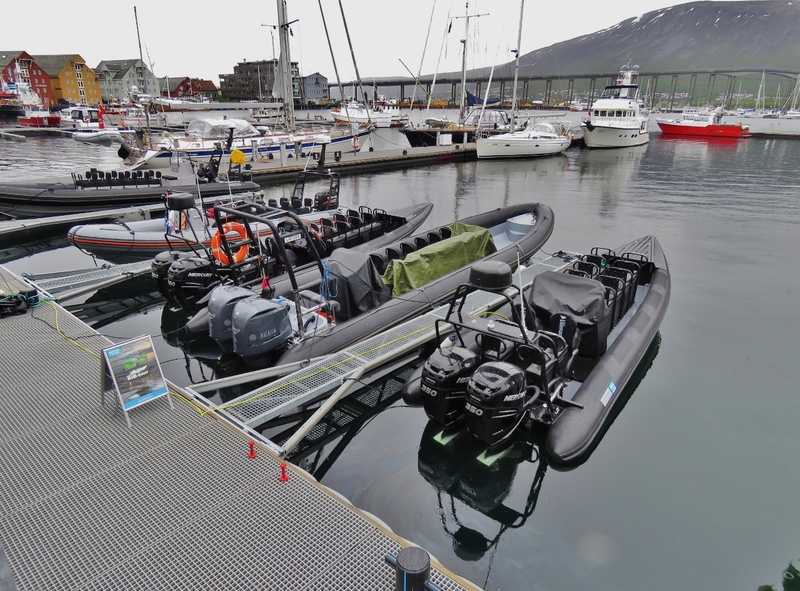 Several beautiful high-speed RIBs moored in the guest harbour.